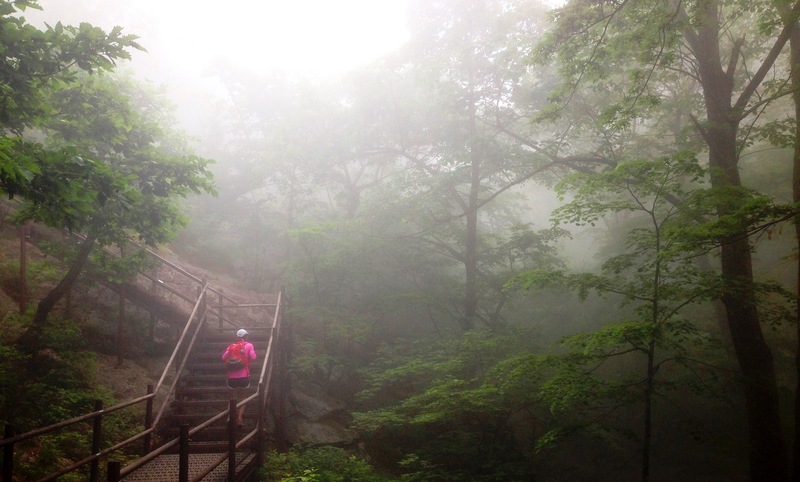 Where: Daecheongbong Peak (대청봉) is located in Seoraksan National Park, up in the north-eastern most province of Gangwondo. Seoraksan can be divided into three main sections: Outer, Inner, and Southern. 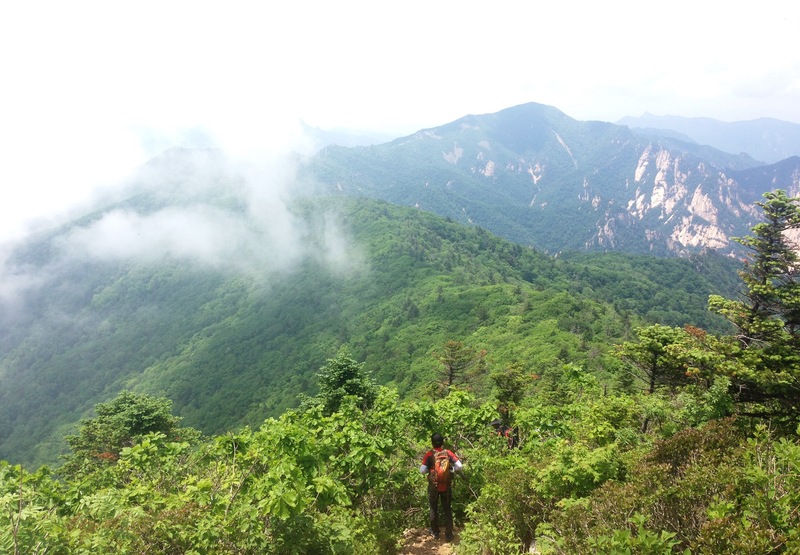 Outer Seoraksan is where we completed two hikes on Friday of our recent long-weekend: Ulsanbawi Course and Biseondae. After hiking, we drove down to Southern Seoraksan and set up camp at a lovely spot about 5km from Oseak mineral spring. The following day, we woke up early and drove into Oseak (tiny town) to park the car and begin our hike up the 5.0km trail to Daecheongbong Peak. 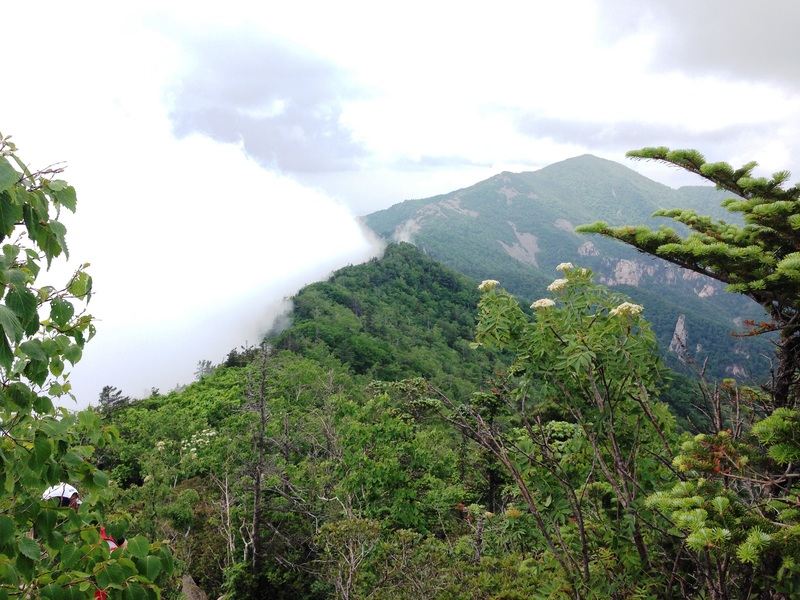 Elevation: Daecheongbong (대청봉) is 1708m, making it the highest peak in Seoraksan National Park. It’s also the 7th highest in all of South Korea, with #1-6 belonging to only Hallasan in Jeju (1950m) and Jirisan’s top peaks. You can see the full list here. Hiking Highlights: Taking a look at the map up above, you can see the course we had in mind: Start in Oseak, climb the 5.0km up to Daecheongbong, hang a left and complete the 6.0km ridge over to Hangyeryeongsamgeori and then another left for 2.3km down the mountain to Hangyeryong Resting Place, eventually finding a bus or taxi back to our car in Oseak (or hitching a ride if we could make friends). The beginning of the trail was pretty nice, we followed some nice stairs in a little river valley, in amongst tall and very green trees. The trail quickly turned into a very steep stair-climbing effort for about 1.0km. Seeing as it was about 7:30am in the morning, it definitely got the blood flowing and woke us up. It was tough! 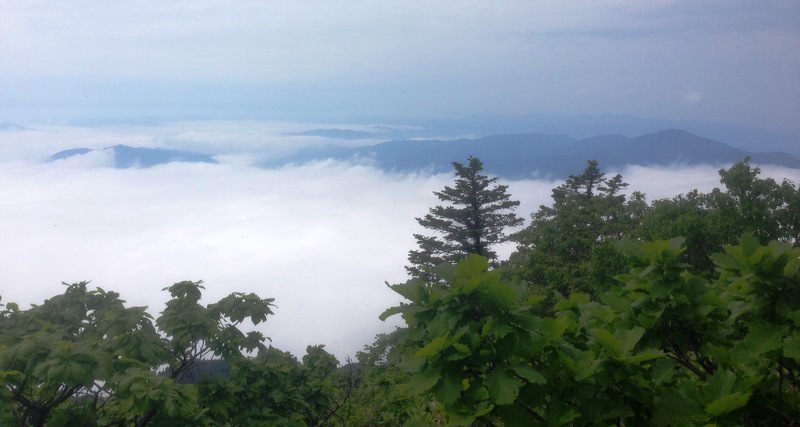 It seemed to be a cloudy day, and we ended up climbing right into the clouds. 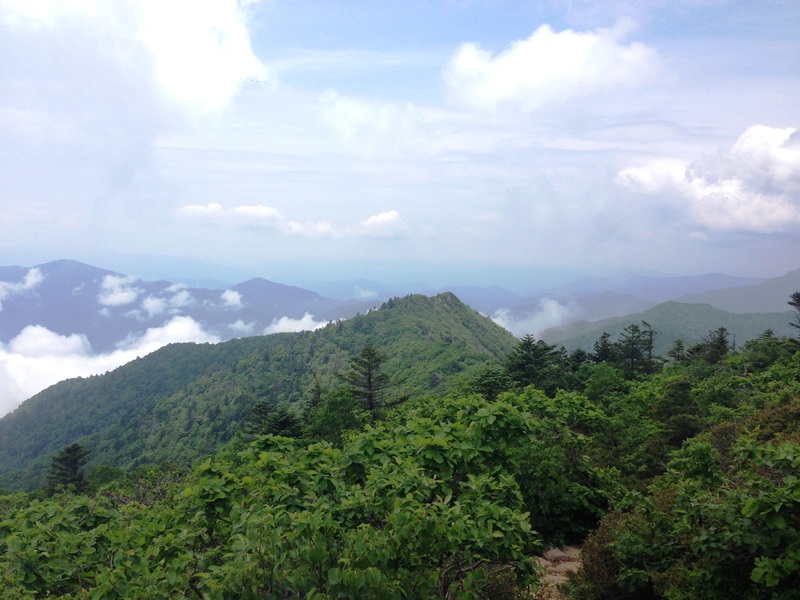 We had flashbacks from Odaesan National Park, just two days ago, and really hoped the rain would hold off so we could a) stay dry and b) see the sights from atop the 1708m peak. 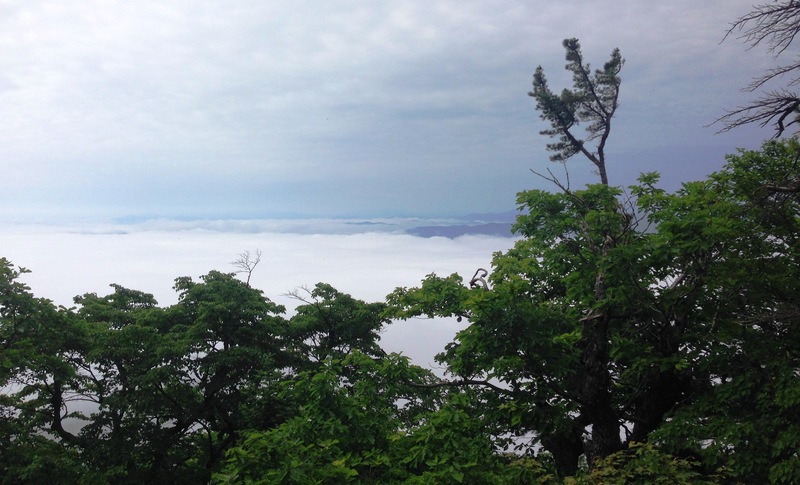 After about an hour and a half of hiking through the fog and relative-darkness, we started to see some blue sky peeking through… we had climbed up above the clouds! We were smiling so big. We continued to lumber up the steep incline. A little further up, the views just got better and better, and it looked like we’d have a great day for hiking after all. 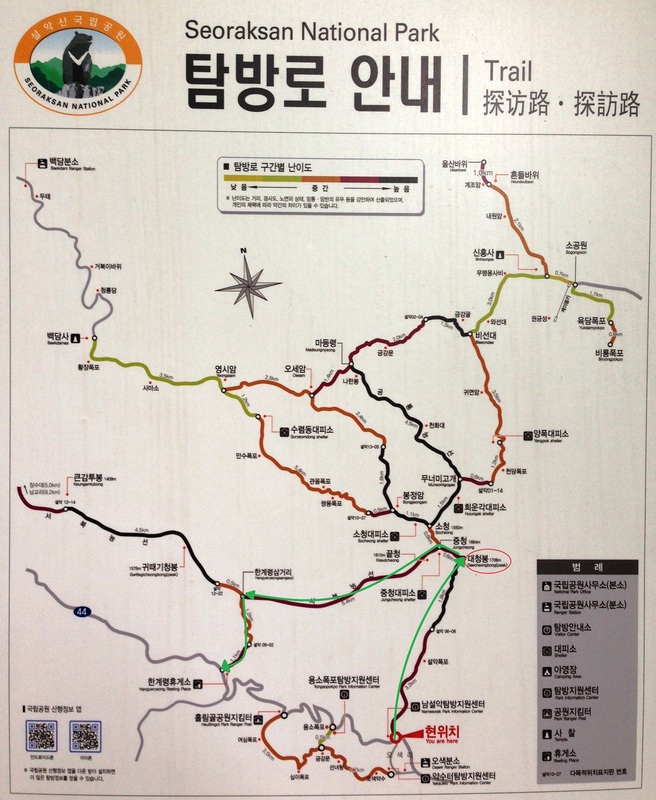 The trail maps called for 4 hours from Oseak to Daecheongbong Peak, but we were able to complete it in 3 hours 20 minutes. It was steep, but do-able if you go slow and steady and be sure to take a few breaks for water and some food. 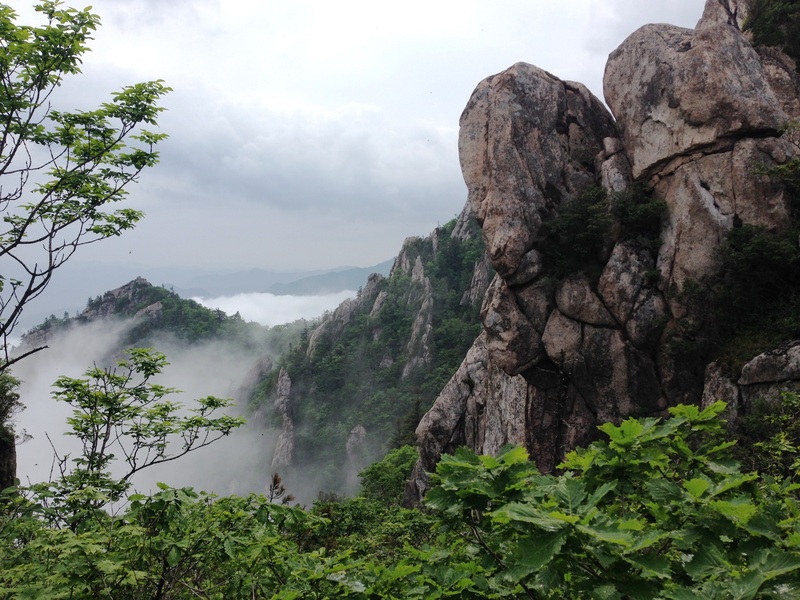 It was an enjoyable hike up to the top, and we were very happy to see all of Seoraksan National Park beneath us. Because of our early starting time again this morning, there weren’t too many people on the trail at all, and just a few people up at the summit with us. Here’s the somewhat-mandatory picture of us by the summit, I guess just to prove we were there?!? We hung out on the peak for about 45 minutes as we ate some lunch, talked with a few strangers, etc. Our lunch this day, just to give you an idea, was some crackers with tuna, rice, apples and oranges, beef jerky, some chips, and even a candy bar. The setting for lunch couldn’t have been better. 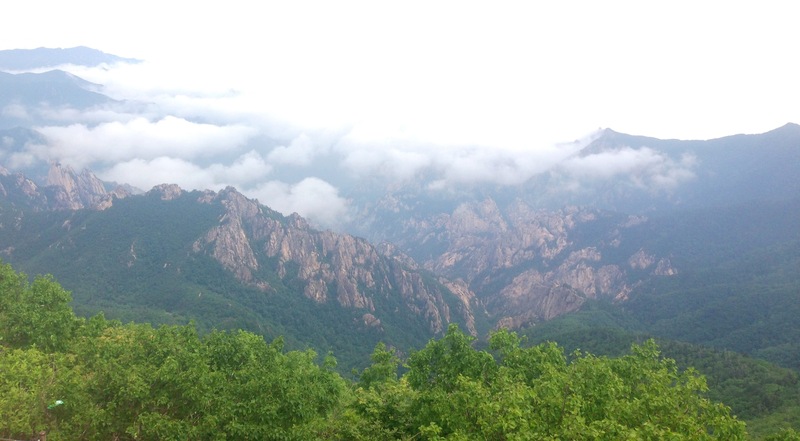 Looking out at Seoraksan was literally mesmerizing – all the rocky and jagged peaks and valleys filled the landscape. More Hiking Highlights: After our lunch, the time was approaching 11:00am and we were still feeling well, so we decided to carry out our plan and head left, going west across the ridge on the southern end of Seoraksan. 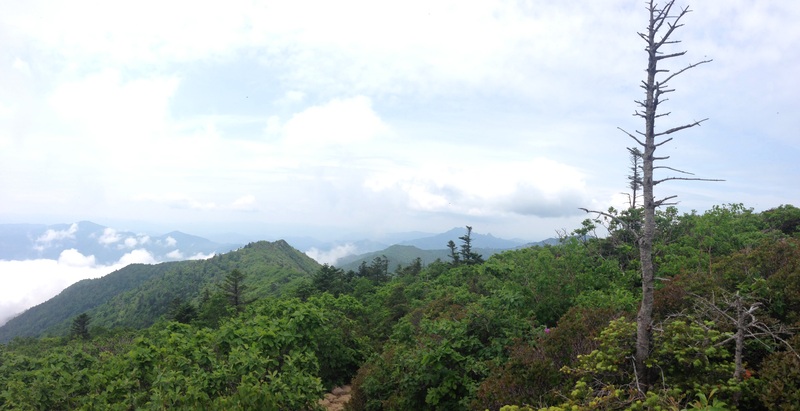 Shortly after coming down off the summit, we were able to look back and see Daecheongbong standing tall at 1708m. After a little while along the ridge, trees became more prevalent and we were often hiking through beautiful forests, going up and down, up and down. We saw some occasional people passing in the opposite direction, but otherwise this trail along the ridge was pretty desolate, quiet, and extremely beautiful. Towards the end of the ridge, we found ourselves walking right next to pretty big cliffs and valleys… making the scenery even more beautiful, something I didn’t think was possible. We finally came to the fork in the road after completing the 6.0km ridge. I lost track of time at this point because we were simply enjoying the afternoon. We hung a left, heading down towards the Hangyeryong Resting Place and the last 2.3km went pretty fast. Interestingly enough, just as we had hiked up out of the clouds, in the afternoon we descended back down into the mist and clouds. It was misty, wet, cold, and really windy! We were a bit unprepared and it came as a bit of a shock, especially because we had just spent the 7+ hours hiking in the warm sun. We ended up getting bus tickets and we were prepared to wait for 30-45 minutes for the bus, but ended up getting a ride with two Koreans who were headed to Oseak anyways. Score! 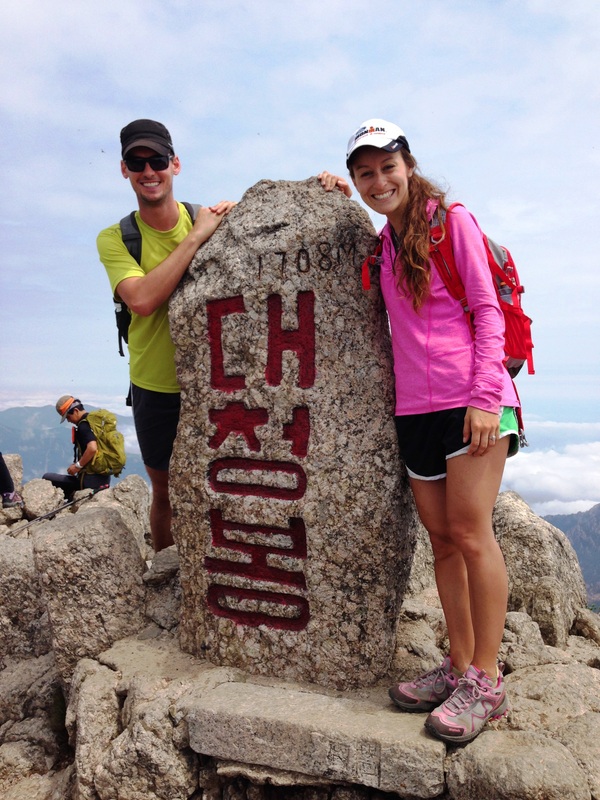 It really seems that all hikers look out for each other and are very kind – something I’ll always remember about Klimbing Korean Mountains. Overall: So, this concluded our third hike in Seoraksan, and it definitely reinforced my previous statement about Seoraksan being my favorite national park in South Korea. 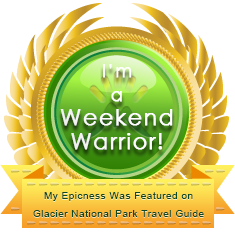 If I could do it again, I’d definitely see Ulsanbawi and Daecheongbong peak, but perhaps I’d look into booking a shelter high up in the mountains (must reserve online in advance) so we could do a 2-3 day through-hike to see more of the middle of the park. Seoraksan gets a lot of attention because its proximity to Seoul and its beauty, and honestly, I learned that it is all for very good reason. 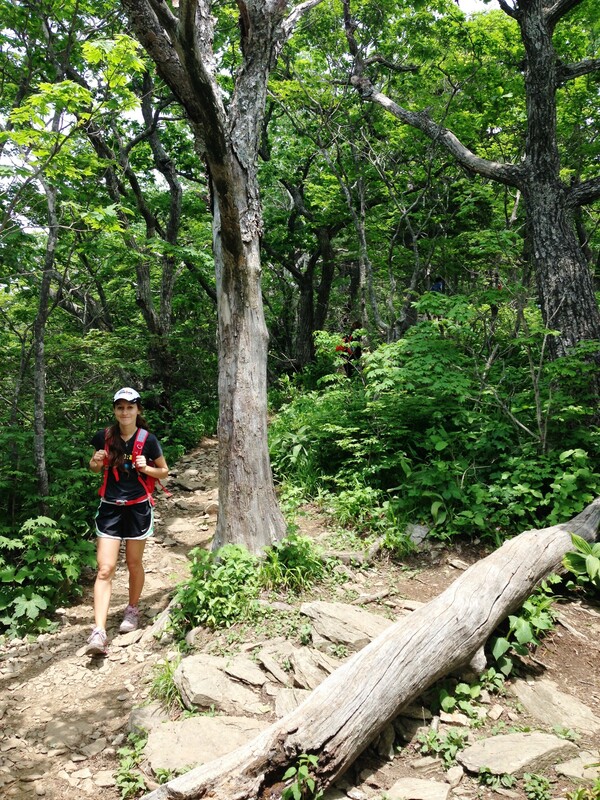 The park is unique because of how rugged it is, and I thoroughly enjoyed every step of the 27.9km we hiked in Seoraksan over two days. 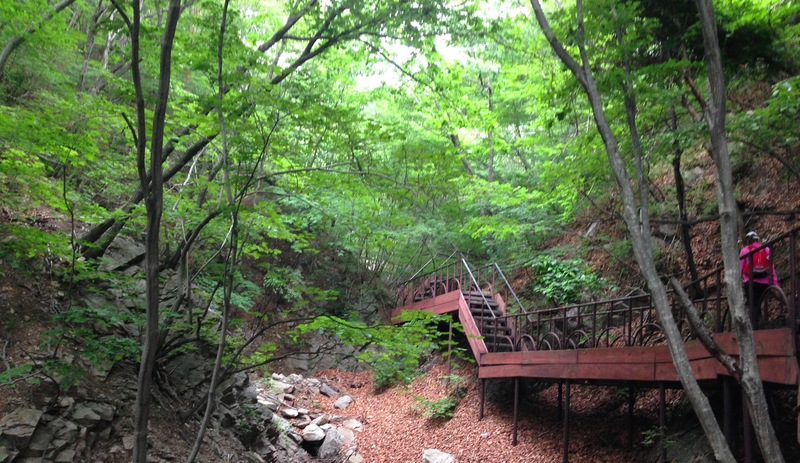 If it’s in the cards, I’d love to return to do some more camping and hiking here in Gangwondo province. 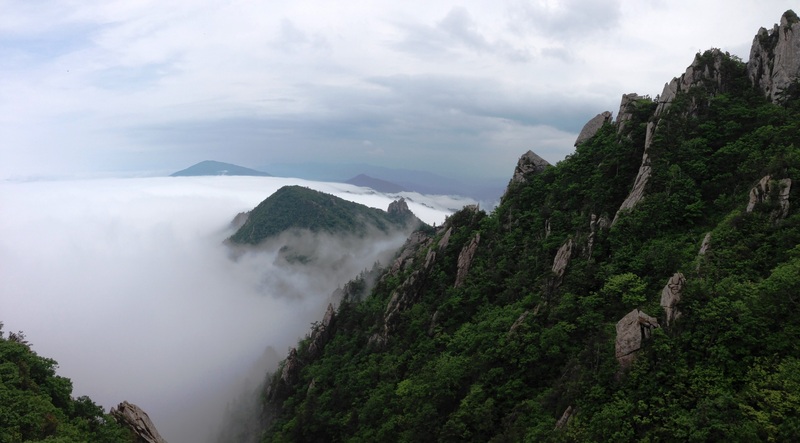 Pingback: Seoraksan National Park: The Highest Peak Daecheongbong | S.K. in S.K. Hi! So sorry I haven’t responded sooner. I now live in Morocco in Africa. Thanks for your kind words and I hope you’re enjoying fall in Korea! Happy Hiking!